The building was completed in 2010 as a landmark new building behind a retained listed Facade. 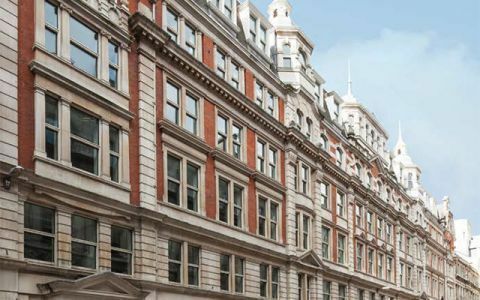 The Centre benefits from excellent communications, being less than 100m from Liverpool Street station and within 5 minutes walk to Bank and Moorgate providing access to the National Rail Network, Circle, Central, Hammersmith & City, Metropolitan, Northern and Waterloo & City lines and the DLR. We are located within one minute walk of Liverpool Street tube station. Easy Offices Where is the nearest coffee shop to New Broad Street? Easy Offices Where is the nearest public gym to New Broad Street? Easy Offices Where is the nearest place to get lunch near New Broad Street? Easy Offices Where is the nearest car park to New Broad Street?